Raymond Adlington (Service No 1648) was born in Wollongong. He served 6 years in 37th Infantry Militia and was a clerk. 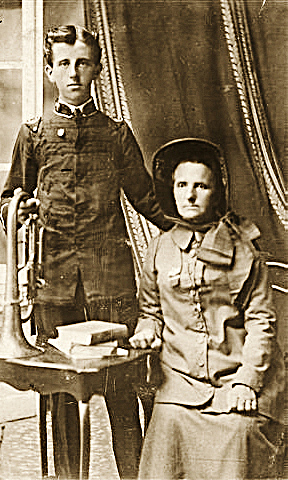 Raymond belonged to the Salvation Army and was keen to be a soldier. Raymond was not in good health but managed to enlist 4 times during the course of the War. He was discharged 4 times due to heart problems. However, his NAA file has a number of references from Army Officers about his excellent work as a clerk. Raymond did not see any active service, but seems to have travelled between Australia and New Guinea on hospital ships doing clerical work between 1915 and 1918. He also spent a short time as a guard at a German Camp. In 1923, Raymond married Ruby Peterson and raised 2 children. He died at Balmain in 1963.